Very long blooming time! 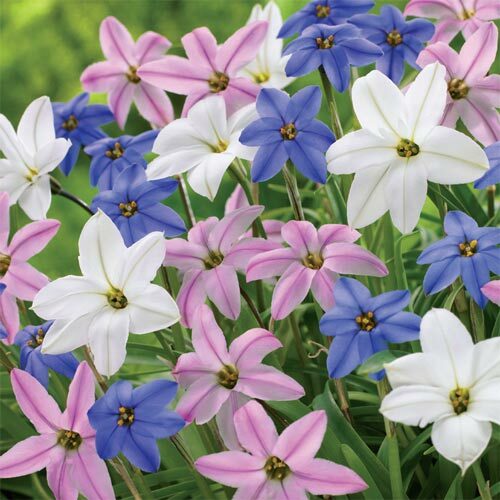 Small star-shaped flowers in blue, white and pink. Great for naturalizing or as groundcover or border.